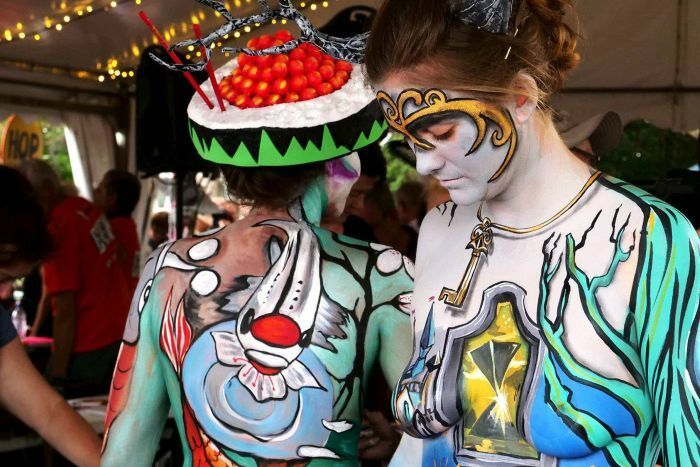 Human canvases turn into art at the 2019 Australian Body Art Festival held at Cooroy, Queensland. 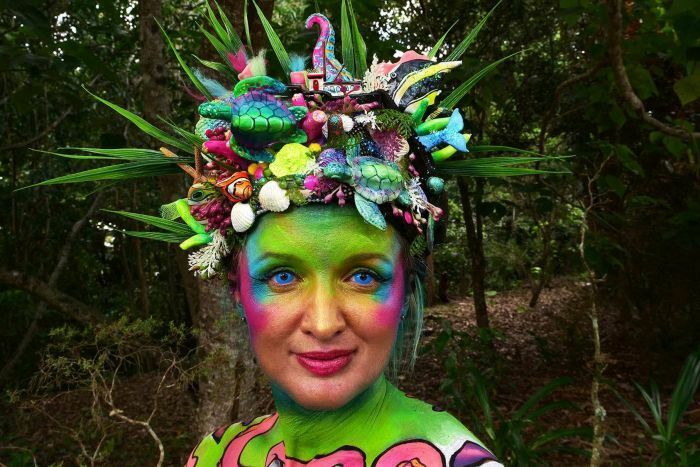 Body artists had to interpret a theme of Other Worlds. Kelli MacAlpine created ‘Ameera’, a celestial being who comes to earth to communicate ancient wisdom. Model: Katy Woods. Artist Lorna Nickels’ entry ‘Valhalla’ was based on Viking mythology and the belief in an afterlife presided over by the god, Odin, and guarded by his dragon. Awarded runner-up in the brush and sponge category. ‘Lucid dream’ by artist Ryan Cribben explored the concept of dream travel and human consciousness and placed first in the airbrush category. 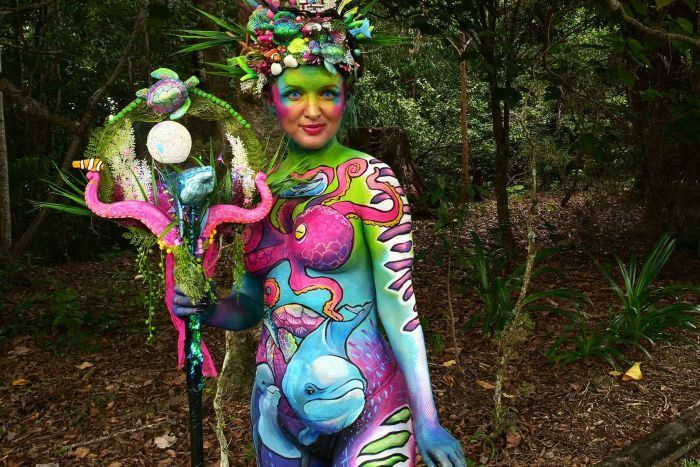 Artist Kristy O’Neil’s water-themed ‘Overfishing and the destruction of another world’ won first place in the brush and sponge category. 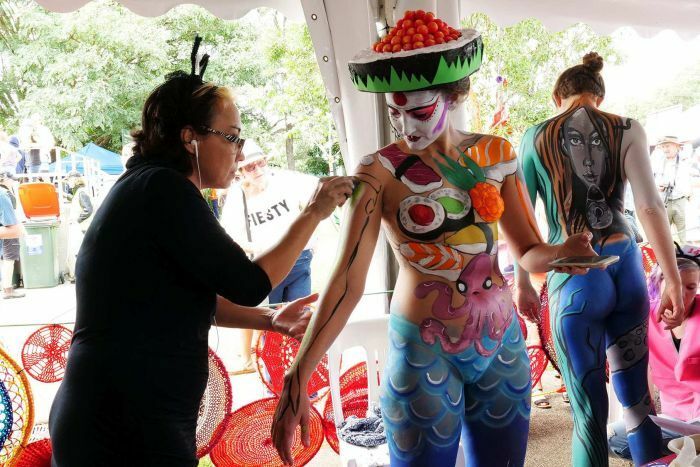 Artist Fran Cotford is a self-taught painter who is also a professional stylist, hairdresser, and make-up artist. 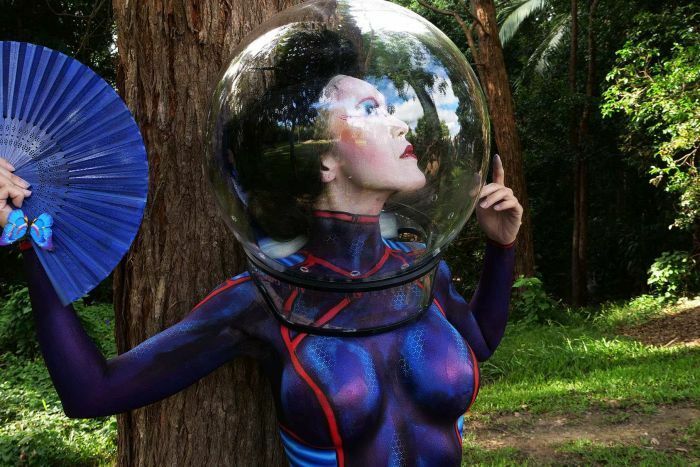 Fran won the people’s choice award for airbrush with her futuristic ‘Dreams of other worlds’ with cyborg-style artwork, modelled by Jess Yates. 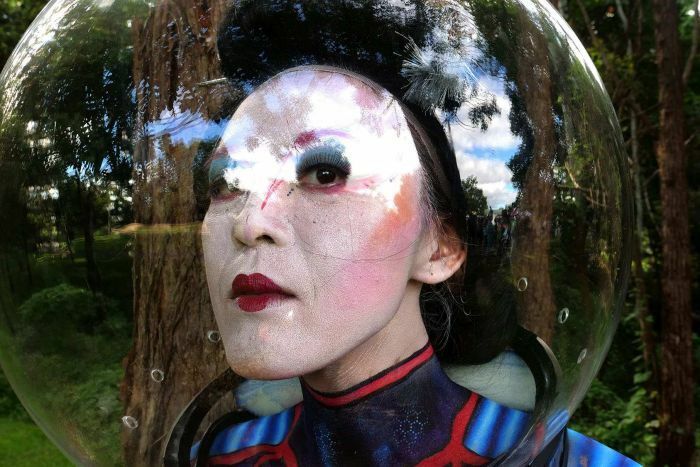 ‘Space Geisha’ by Bodhi Del Mar melds a futuristic world with traditional Japan, suggesting other worlds can co-exist. Model: Doris Li. Artist Kat Denyer also drew on Japanese culture, playfully recreating the foods of her Tokyo childhood with sushi, seafood, and soy sauce. 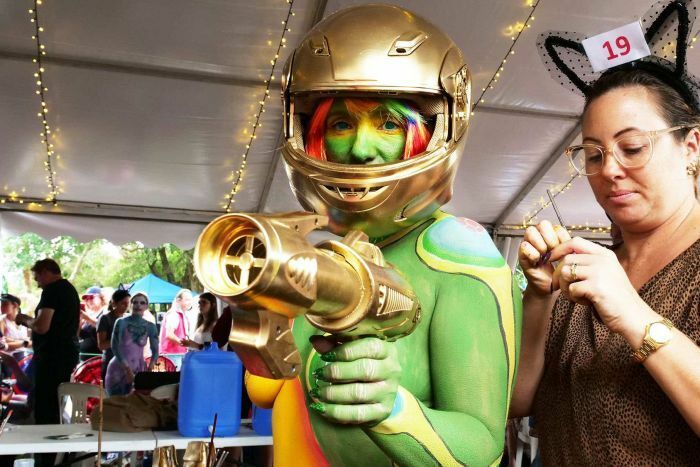 A gold helmet and plastic gun finishes off this adventurous creation by artist Netty Pukkall. Model: Donna Joy. Artist Susie Klein expresses her Aboriginal culture in ‘Mighty rainbow serpent’ with crosshatch and dot painting. Model: Bree Franz. 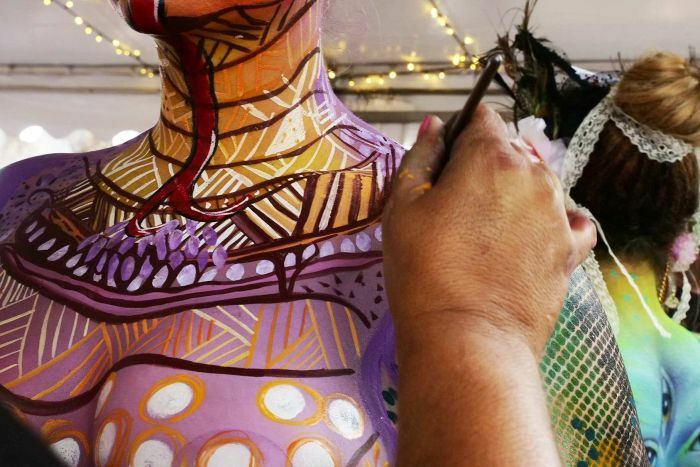 Artist Susie Klein expresses her Aboriginal culture in her artwork. 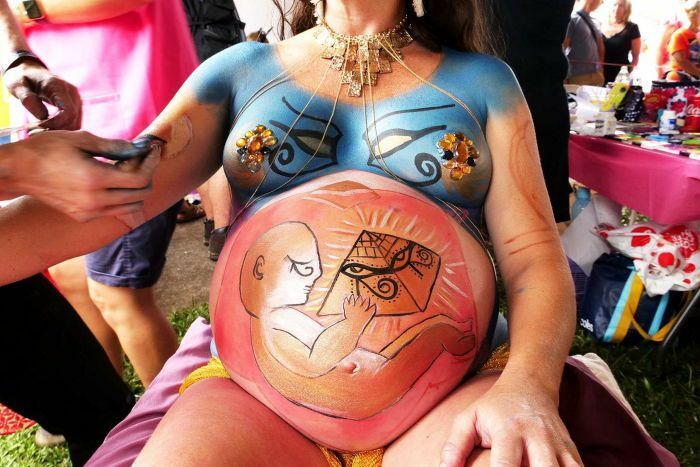 Artist Corina Wagner ensured her pregnant model Bree Franz was comfortable by remaining seated for the first four hours of painting. The finished artwork is based on the Egyptian goddess of the sky, Nut.